We are officially in the middle of a blizzard. I am so excited that we are finally getting snow! Plus, my husband’s work is closed until noon, so I get to sit, drink chai, and eat these cinnamon rolls with him! Sounds like a good way to start the day to me. 🙂 Even if you aren’t in the middle of winter wonderland, these gingerbread cinnamon rolls are still a great way to start your day. You may be thinking, “I thought it was just yesterday when you said that you liked quick and easy recipes for the holidays?” While cinnamon rolls can be involved, these are not. These rolls use the bread machine. I love my bread machine, because it does all of the work for me. All I have to do is roll the dough out, prepare the filling, and cut them into pieces. 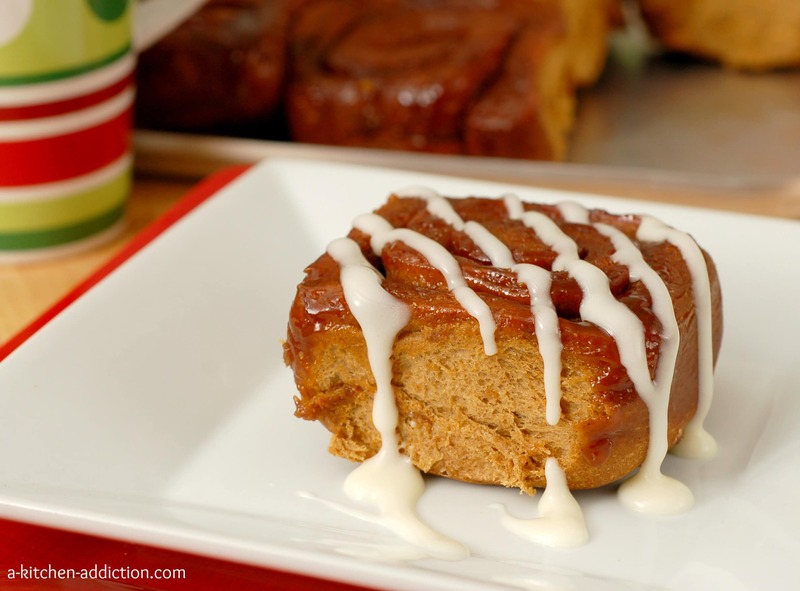 Throw them in the oven and 25 minutes later you will be enjoying soft, tender gingerbread spiced cinnamon rolls with a light caramel-y coating! See? Easy. Plus, these rolls can be prepared the night before and baked the next morning, so that you don’t have to get up early to enjoy fresh-baked cinnamon rolls! These rolls are a great addition to a holiday brunch or a fun breakfast to enjoy while opening presents on Christmas morning! Place ingredients for Rolls in bread pan of bread machine according to manufacturer’s instructions. Select dough cycle and start. After dough cycle has finished or dough is doubled in size, turn dough out onto a well-floured surface. Cover with a clean towel and allow it to rest for 10 minutes. Roll dough out into a 16×22 inch rectangle. Spread softened butter over dough. Sprinkle with brown sugar, cinnamon, and ginger. Roll dough up lengthwise and cut into 12 rolls. Place rolls into a buttered 9×13 inch baking dish. (I like to sprinkle a little brown sugar on the bottom, too, to get a nice caramel layer on the rolls.) Cover and let rise for 45 minutes or until doubled in size. Bake for 20-30 minutes or until just starting to turn light golden brown. Remove pan to a wire rack to cool. While rolls are cooling, prepare frosting. Beat together cream cheese and butter until smooth. Add in salt, confectioner’s sugar, and vanilla. Beat until creamy. Spread frosting on warm cinnamon rolls. Serve. This recipe is linked with What’s In Your Kitchen Wednesday. 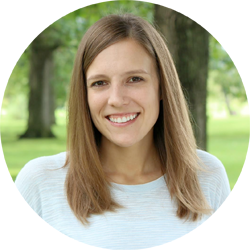 Jessica, I’ve been having a hard time coming up with what to make for Christmas morning. My search is over! I love that these can be made the night before! This really looks wonderfully delicious. A great way to start the day indeed. I’d like to invite you to my Christmas tree link-up party. I hope you’ll come join us. These rolls look incredible, yummmm!!! I love, love homemade cinnamon rolls. These look SO good! What a fun treat! I just made gingerbread baked oatmeal, and now I’m wishing I had drizzled cream cheese frosting over it. What a great way to celebrate a blizzard. 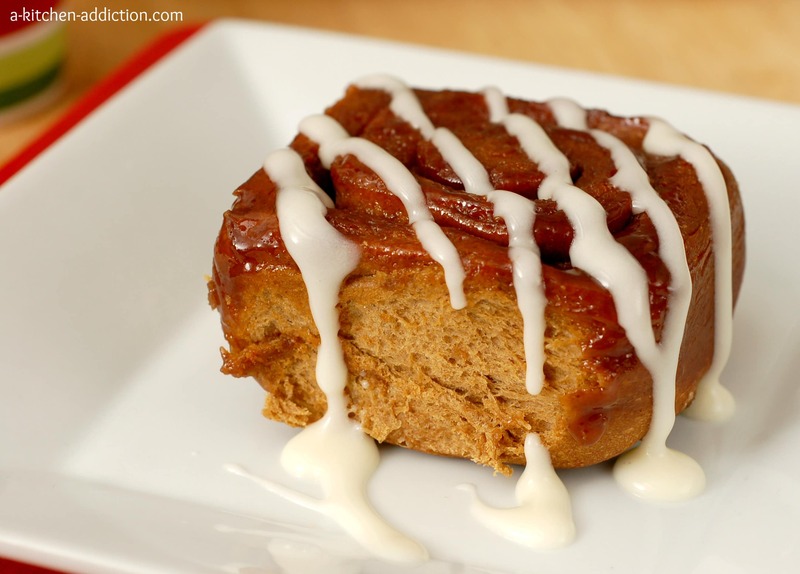 ooh adding molasses and spices would totally make cinnamon rolls to die for (as if they weren’t already..). This would seriously be a wonderful Christmas morning breakfast! Homemade cinnamon rolls rule! And yay for spending extra morning time with hubby while you chow down on these bad boys! These would be awesome to have ready on Christmas morning! Yeah! Snow here too but just a dusting. Sure makes you want to bake doesn’t it!! I am making cranberry and pecan bread. Cheers! I will have to try these! They look so good! Thanks for always sharing wonderful treats! delish– making that this weekend! I was drinking chai and baking during our snowed in day! 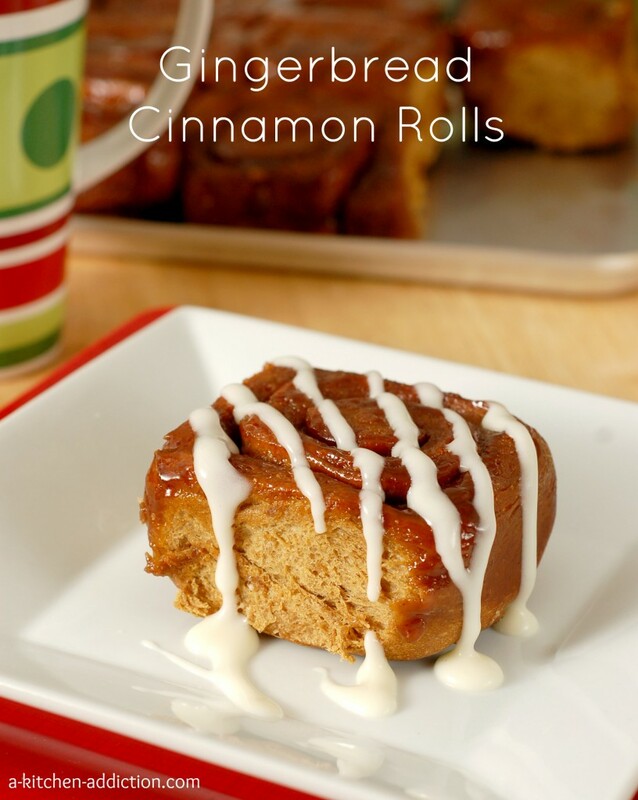 love having a warm oven on in the kitchen with the delicious smells cooking….your gingerbread rolls YUM! These look so gooey and soft.. perfection! These look amazing! Cinnamon rolls are fantastic on their own, but the addition of gingerbread is fantastic 🙂 Happy new year! You always make me drool. Seriously delish. Love these!